In previous post, I explained to control programs flow of execution using simple if statement. Simple if works as "if some condition is true then do some tasks". It doesn't specifies what to do if condition is false. A good program must think both ways. For example - if user inputs correct account number and pin, then allow money withdrawal otherwise show error message to user. if...else statement is an extension of simple if. It works as "If some condition is true then, do some task otherwise do some other task". 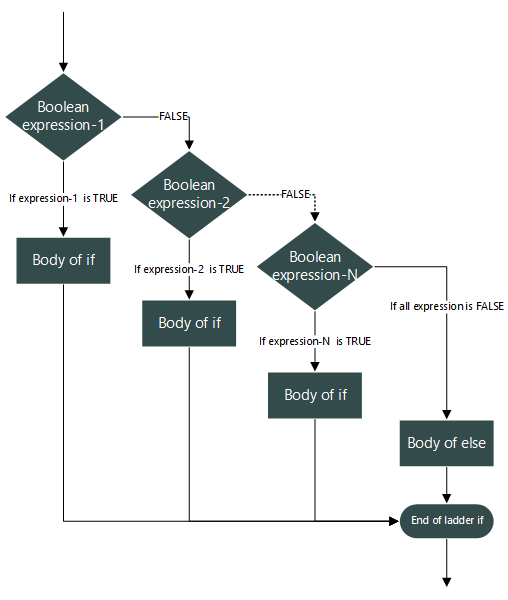 In above syntax if the given Boolean expression is true then, execute body of if part otherwise execute body of else part. In any case either body if or body of else is executed. In no case both the blocks will execute. Let us write program based on if...else statement. Write a program to input two numbers from user. Print maximum between both the given numbers. Simple if statement gives ability to execute tasks based on some condition. 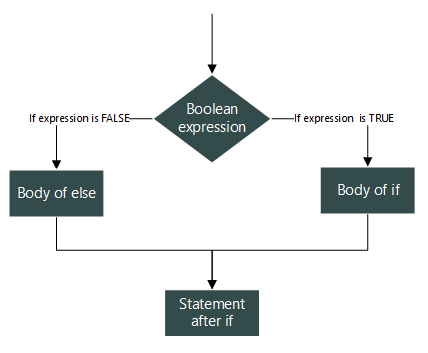 Its extension if...else takes both sides of the condition and execute some statements if conditions is true or if the condition is false then, execute some other statement. If I have at least $1500, then I will purchase Microsoft Surface Pro 4. Else if I have at least $1200, then I will purchase Apple Mac book Air. Else if I have at least $1000, then I will purchase HP ultra-book. Else I will purchase some mid-level developer laptop. In the above scenario each condition is dependent on parent condition and must be checked sequentially. Also if a condition is true then all other conditions must be ignored. These situations in C programming are handled using a combination of if...else...if statement. if...else...if is an extension of if...else statement. It specifies "If some condition is true then execute some task; otherwise if some other condition is true, then execute some different task; if none conditions are true then execute some default task." // this and skip else. // execute this skipping all other. Let us write a simple C program to input an integer from user. Check if the given integer is negative, zero or positive? * C program to check negative, zero or positive.